Some of Hog Roast Glasgow’s regular clients will often request a cooked hog roast to be delivered to their event or party when they desire just the food, rather than the full catering experience offered by the Hog Roast team. This option is readily available to all new and existing clients of Hog Roast Glasgow and the food will be prepared in advance and delivered fresh. One of Hog Roast Glasgow’s regular clients, Jason, orders this service frequently and finds it a really helpful alternative to the full catering experience of the team cooking the food before the guests. Recently, Jason ordered a 50kg pig to be freshly cooked and delivered to his event at the Westwood Spa & Golf Resort. The Catering Manager, John, will ensure that the food is cooked to perfection and that it remains warm and fresh throughout the delivery process. This option offered by the Hog Roast Glasgow team gives clients the option to serve the Hog Roast in a more formal setting but still retain the rustic charm of the food. 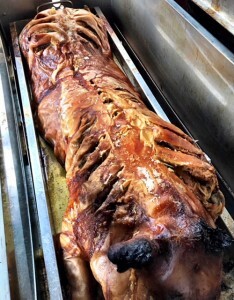 Pigs of various weights can be requested in advance and the team will ensure that the high standards they uphold during their catering experiences are still upheld when cooking and delivering their Hog Roast food to events such as those than Jason hosts. The resort at which Jason hosts his events is not appropriate for the Hog Roast Glasgow team to deliver their catering experiences because there is no area suitable for the team to set up their stand and equipment. In addition to this, the formal setting means that the food would be delivered to the guests, rather than the guests having to move around to collect their food from the buffet. Therefore, the flexibility of the Hog Roast Glasgow team allows them to offer this delivery service so their authentic Hog Roast is accessible to all people and events at all locations. 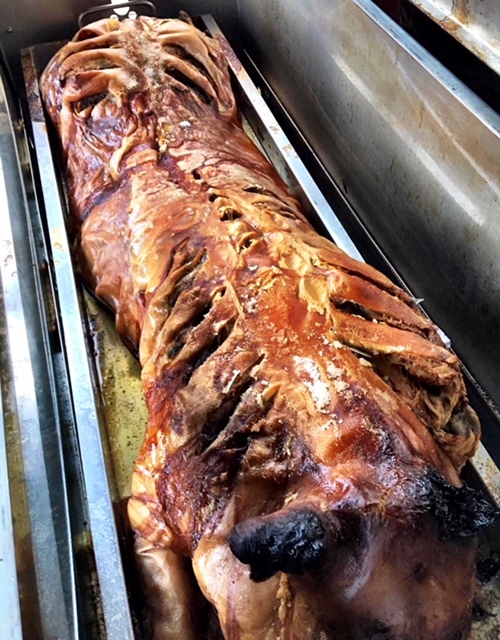 Moreover, if you were planning an event, yet were concerned about the suitability of the location for the Hog Roast, order your food to be delivered so you don’t miss out on the fantastic food offered.